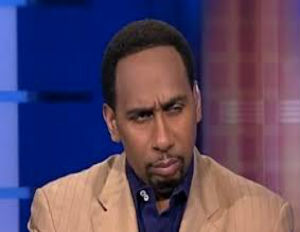 Even though there’s audio for all to hear, ESPN’s Stephen A. Smith released a videotaped statement today claiming that he did not say the n-word during a Tuesday morning segment of ESPN’s First Take. Smith joked during the segment, “Opening night. Kobe Bryant is going to miss it because, ‘my foot is sprained?’â€Â He then went on to say, “Are you crazy, ni**a please.â€ ‘N*gga please’ is commonly used to express disbelief in African-American vernacular, and is used in a way similar to “Get the f**k out of here!’ or ‘No way!’ is used.